Jobskills is an Australian Federal Government funded program which consists of 26 weeks (6 months) full- time employment. During the 26 weeks, 6 weeks must be formal training. To be eligible for this program you must be aged between 21 - 64 years and registered with the CES as unemployed for 12 months or longer. Check with your local CES for eligibility. Participants are covered under an award and receive a wage of $300 gross p/w, they also accrue holiday pay/sick leave and a superannuation levy paid by the employer. Exit Right Training Inc. is the broker for the program in the Manning Valley region and negotiate and co-ordinate the placements, which are with Federal and State Government department/authorities, community based non-profit organisations or Local Government. The main objectives of the program are for participants to learn new skills, update existing skills and more importantly to make contacts and use the placement to transfer to more permanent positions. Current figures show that approximately 45% of Jobskills participants transfer to permanent work or further training. For 1996 we have been allocated 60 placements and we currently have positions in the following areas; clerical/administration, landscaping, truck & bus driving, wardspeople, childcare assistants, welfare, storepersons, factory workers, Nursery hands, and domestic duties. For further information contact your local CES or at Exit Right Training Inc, - Eric Trad, Jane Wilkinson or Tanya Lewis on (065) 52 6844. L.E.A.P. 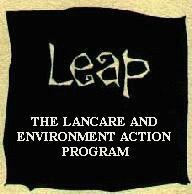 = Landcare & Environment Action Program. L.E.A.P. is a Federal Government funded program running for 26 weeks with 6 weeks of formal training. To be eligible for this program you must be between 15 - 20 years and be referred by the local C.E.S. Exit Right Training Inc. is the broker for this program in the Manning Valley region and arrange for suitable projects that will benefit the community. The participants receive a training wage 15-17years = $125 gross p/w and 18-20years = $150 gross p/w. Under the L.E.A.P. program, projects can be of heritage, cultural heritage or environmental themes. The main objectives of the program are for participants to learn new skills and more importantly to make contacts and use the placement to transfer to more permanent positions. The program also helps to build self esteem, life skills, teamwork and confidence. This program will give you a good grounding for TAFE courses involving horticultural, landscaping, nursery work, bush regeneration training.